There has been a significant increase in diversity of students entering the University of Otago's health professional programmes in recent years, especially among Māori and Pacific students and those from rural areas. Between 2010 and 2016, there was a 124 per cent increase in the number of Māori students and 121 per cent increase in Pacific students in health professional programmes, more pronounced in medicine and dentistry (increases of 179 and 133 per cent respectively). Over the same period the number of students from rural areas increased from 19.2 to 22.5 per cent, research published in the latest issue of the New Zealand Medical Journal today shows. One of the researchers, Pro-Vice-Chancellor of the Division of Health Sciences, Professor Peter Crampton, says good progress has been made in increasing the diversity of the health professional student cohort at the University of Otago. However, he is disappointed there has been little change in the overall socioeconomic profile of health professional students. The research shows a large proportion of students came from socioeconomically advantaged areas and only 3.4 per cent of students had attended secondary schools with a socioeconomic decile of less than 4. The University has however, already looked to address this issue and will in future be including two further categories in its health professional programmes admissions criteria—those of low socioeconomic groups and refugees. "It is hoped that in future these two categories will lead to increasing participation in health professional programmes by students from these demographic groups," Professor Crampton says. 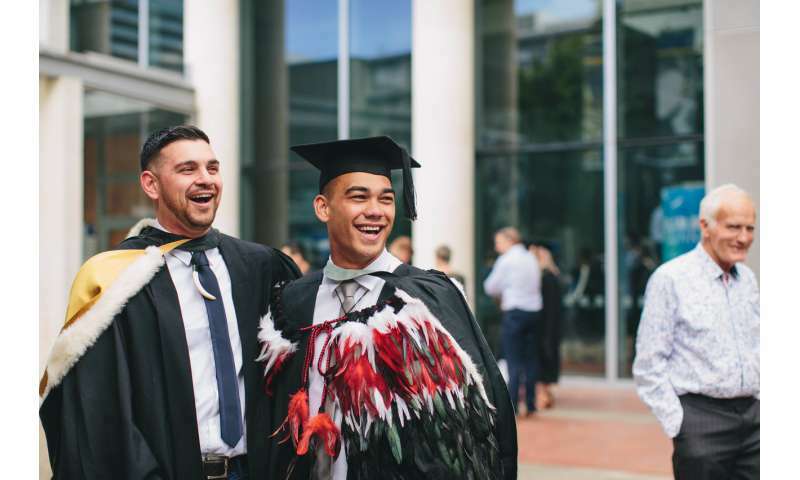 The huge increase in Māori and Pacific student numbers has been driven by specific strategies aimed at achieving increased engagement with these communities and investment in structures and processes for supporting academic attainment. In 2012, the University's Division of Health Sciences implemented a policy designed to ensure all of its health professional programmes produced graduates that would be equipped to meet the needs of today's society. The Mirror on Society selection policy was developed to ensure the student intake was diverse so that, as much as possible, it would reflect the ethnic and socioeconomic realities of the communities which students would go on to serve. Professor Crampton says the benefits to society of having a sociodemographically diverse health workforce are well documented and based, in part, on the observation that the sociodemographic characteristics of health professional students influence future career choices in terms of where they practice and populations served. The research also shows the number of female students has continued to increase, up from 59.6 per cent to 61.3 per cent. When compared with the New Zealand population, Professor Crampton says females are overrepresented at the University of Otago in general, and professional health programmes in particular. A challenge in the future will be to consider the implications of, and policy responses to, the increasing feminisation of some health professional student cohorts. For some professional groups, such as medicine and dentistry, feminisation represents a complete reversal of historical gender patterns. Looking to the future, Professor Crampton says other challenges could include, for example, the consideration of the role of selection policies in promoting the participation of students with disabilities and in increasing gender diversity.